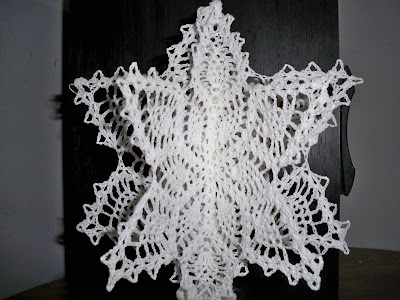 G's Crafts n' Things: The snowflake is done! 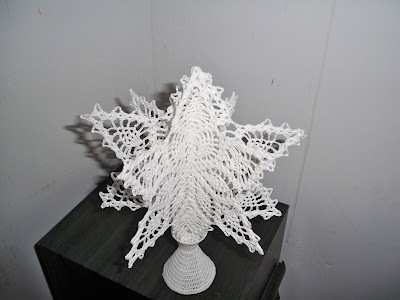 The snowflake is assembled and finished! I must say it is very pretty! in the stand it is 11" from base to tip. I'll have to update when the auction is over to post what it sold for. When I stiffened it I didn't dilute the glue hardly at all because this is going to someone else I wanted it to be as stiff as possible and it is very hard! Thank you! 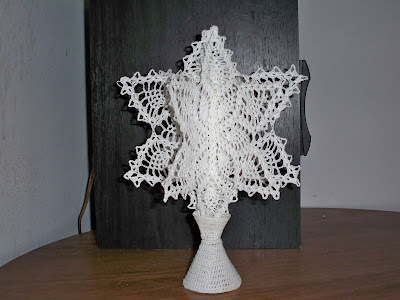 I find my self moving further and further into the finer thread arts which has so far, brought me to tatting.